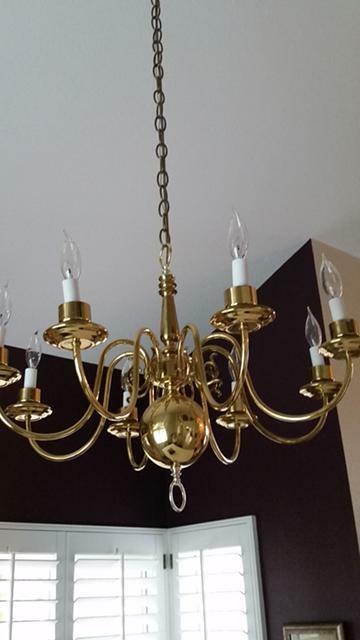 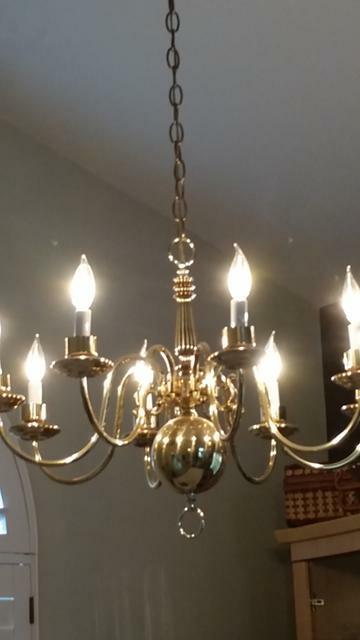 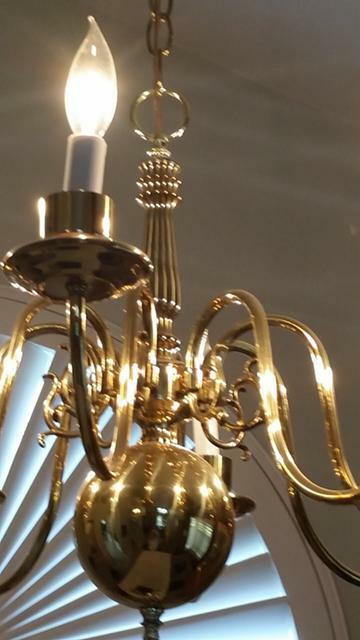 Two brass color chandeliers, including light bulbs. 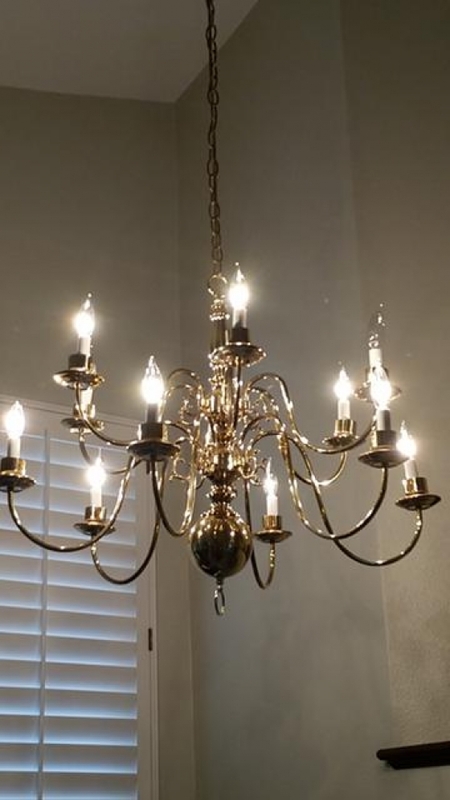 Great lighting fixtures for your entry area, foyer, dining room, etc. 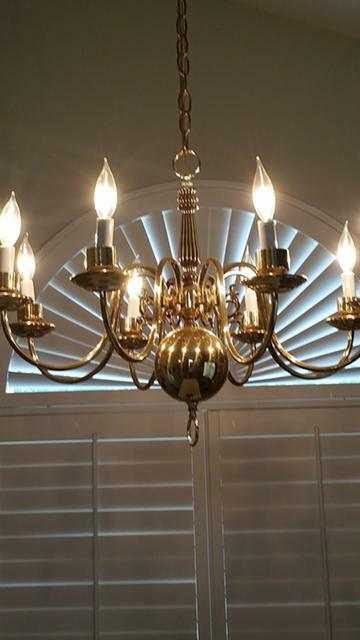 Give me a call and come pick them up in City of Orange, east of 55 freeway near Chapman Ave. and Jamboree.